This page is for the 2013 game. For the first game, see SimCity (1989). For an exhaustive list of bugs go here. Origin Server Status and @simcity Twitter feed to check game servers. SimCity - Answer HQ - EA's technical difficulties forum. Temporarily unavailable due to crashing on OS X 10.13. All Windows versions require Origin DRM. No longer requires a constant internet connection and can be played offline; online and offline cities are separate. The Mac App Store version includes DLC but does not support online multiplayer. The Complete Edition is a complete edition containing the base game and all paid DLC. Changes the base game edition to Digital Deluxe. Includes Heroes and Villains Set and the French, German and British City Sets. Exclusive to Limited Edition or Digital Deluxe. Free limited promotion with Crest and Oral-B products in the United States. The promotion has ended. Free limited promotion for Progressive Insurance. The promotion has ended. Free download from Origin to promote the Nissan Leaf. 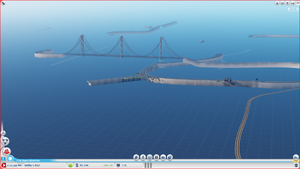 Only offline mode cities are stored in this location; online mode cities are stored on the server. Use -r:XXXXxYYYY parameter to set the resolution. Use -w parameter to start in windowed mode. Supports 30, 60 and uncapped frame rates. Go to Settings, Graphics and change Filter appropriately. Speech is a fictional language called Simlish. Speech bubbles instead of subtitles. Origin only lists Spanish for Digital Deluxe version. 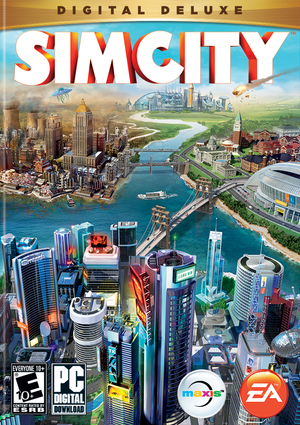 List of SimCity (2013) bugs. No option to disable motion blur. Line appears on right edge, even when windowed. Click Start, and then click Network (click Start, type ncpa.cpl into the search box for Windows 7 or Vista, press ↵ Enter). Right click on the Local Area Connection select Properties. Select Internet Protocol version 4 (TCP/IPv4). Click the Advanced button under the General tab. Click Enable NetBIOS Over TCP/IP. Click OK and Exit the settings. Go to HKEY_LOCAL_MACHINE\SOFTWARE\Wow6432Node\Origin Games. Depending on how many games you have you will find a few registry folders that come up as numbers. If you click on any of these there will be a value in the right pane called "DisplayName", which shows the name of the game that registry location is for. Find the registry (in the Origin Games registry folder) that shows SimCity for the DisplayName. Once you find the SimCity registry folder, delete it. Re-download a new Origin install file, and install Origin. Now go to the location that you installed Origin in (usually C:\Program Files (x86)\Origin) and find the "Origin.exe" file. Right click the file and go to properties and then go to the compatibility tab. At the bottom there will be a check box with "Run this program as administrator". Check the box, click apply, then click OK.
'Checking for updates' is stuck when launching the game. 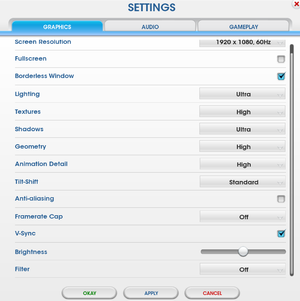 Change all settings back to default (or make a separate profile for Simcity), specifically the anti aliasing settings. Run Simcity with the Catalyst settings on default to check that the problem has been solved. If not re-install the game and restart the computer. Applies to computers with AMD graphics cards in Crossfire. Under the "Performance" section of the AMD Catalyst Control Center, in the AMD CrossfireX tab, select "Disable AMD CrossFireX"
Rudimentary modding guide by reddit user Plornt. Game going on while in budget crisis. Intel GPUs are not officially supported on OS X. This page was last edited on 15 April 2019, at 23:13.